We are so fortunate to live so close to a variety of mountains/foothills. 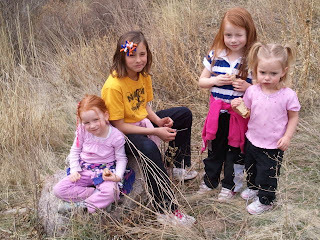 It has finally warmed up enough for me to put together a hiking trip/nature walk for the girls and their cousin. 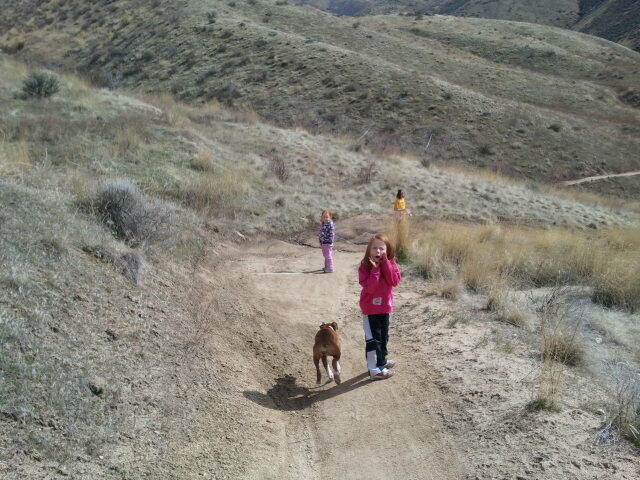 The Boise foothills has a lot to offer for hiking, running, biking, horse back riding and dirtbikes. 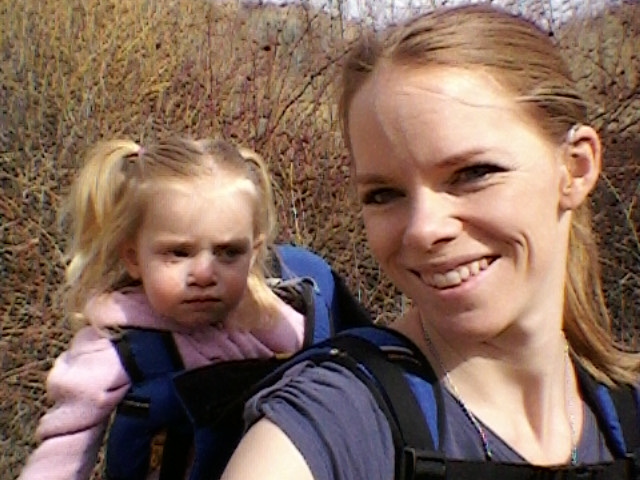 On this hike (walk), we were able to take Liesle along. The advantages of having a dog, she doesn't whine! ;) It was fun having her. 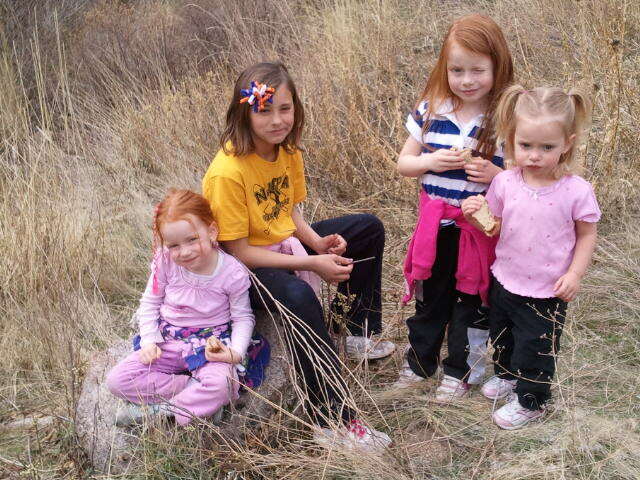 Cousin, Kaylie and Addie did really well on the hike. Gabrielle was content in the back pack. 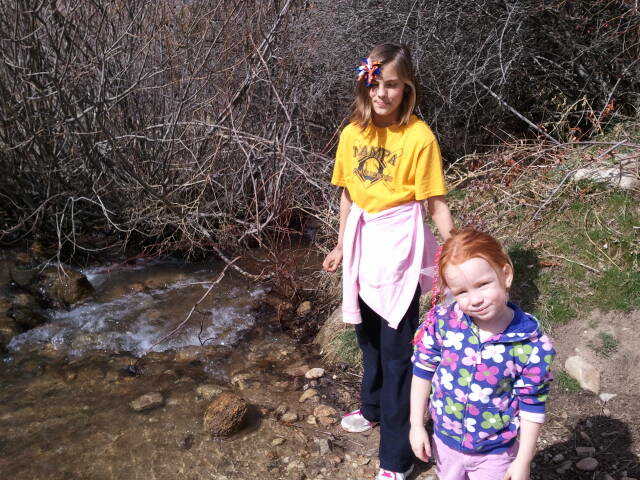 Joelle...lets just say she is a lot like me when I was her age. Where did you hike. I liked the creek. 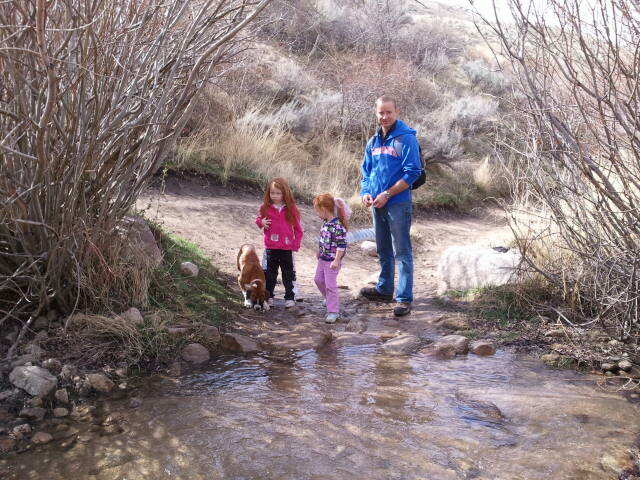 Looked like fun. 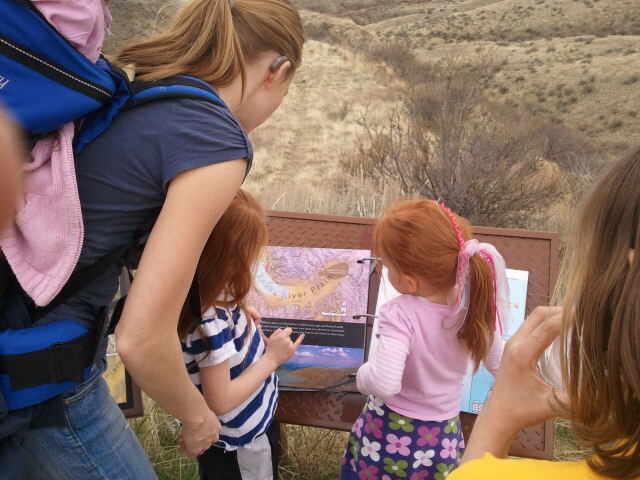 oh man, that looks like sooo much fun!! 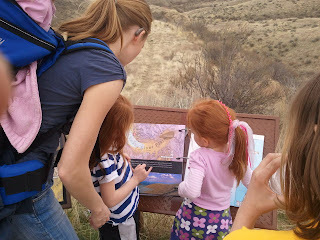 Hulls Gulch Intepretive Trail, it is a loop trail, easy enough for kids. I wanted to warn you, when you take Lesiel with you, keep her on the trail. 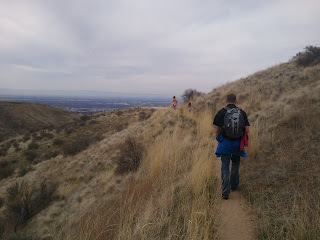 There are hunters that set traps up in the foothills.